October 1968 - November 1978 at various studios. Mastered at Alchemy Mastering, London. Mothership is a compilation album (three CD or four LP set) by English rock group Led Zeppelin, released by Rhino Entertainment via Atlantic Records on 13 November 2007 in the United States, and 12 November 2007. This twenty-four track collection has been remastered from the original tapes at Alchemy Mastering, and is not a reproduction of earlier Led Zeppelin box sets. The project was overseen in person by Robert Plant, Jimmy Page and John Paul Jones. Mothership's release coincided with the first ever launch of Led Zeppelin's entire catalogue via digital download stores. Also made available was a choice between 'Deluxe' (Atlantic R2 313212) and 'Collector's' editions, with liner notes by David Fricke. The Bonus DVD included in the Deluxe 2CD/1DVD Edition is a scaled-down version of 2003's Led Zeppelin DVD, including 9 songs from the 1970 Royal Albert Hall show, four songs from The Song Remains the Same, three songs from the 1975 Earls Court show, and four songs from the 1979 Knebworth show. The launch of Mothership coincided with a major television campaign featuring animation in the style of Shepard Fairey's cover art. A dedicated satellite radio station XM LED, was established to support the release as well as the upcoming Ahmet Ertegun Tribute Concert in London on 10 December 2007. The station broadcast Led Zeppelin's catalogue 24 hours a day until it went into hiatus on 1 January 2009. On 26 August 2008, a 180 gram audiophile four vinyl LP set (Atlantic R1 344700) was released, and a promotional videoclip The Making Of made available via the official Led Zeppelin homesite. Mothership debuted at Number 4 in the UK Albums Chart, with 58,000 units sold, and debuted at number 7 on the US Billboard 200 chart, selling an estimated 136,000 units in its first week. The album has since sold over 1,100,000 units in the U.S., and it has been certified 2× Platinum by the RIAA. ↑ Cohen, Johnathan (2007-10-23). iTunes Welcomes Zeppelin With Catalog Box. Billboard. Retrieved on 2007-11-19. ↑ Top 100 Albums - 24 November 2007. chartstats.com. Retrieved on 2009-01-19. ↑ Jonathan Cohen, 'Keys Storms Chart With Mega-Selling 'As I Am, Billboard.com, 21 November 2007. ↑ Top 20 Reissues of 2007. rocklistmusic.co.uk. Retrieved on 2009-01-19. ↑ Top 100 Albums - 11 November 2007. infodisc.fr. Retrieved on 2009-01-19. ↑ Top 100 Albums - 11 November 2007. Oricon. Retrieved on 2009-01-19. ↑ Top 100 Albums - 15 November 2007. swedishcharts.com. Retrieved on 2009-01-19. ↑ Top 100 Albums - 18 November 2007. spanishcharts.com. Retrieved on 2009-01-19. ↑ Top 40 Albums - 18 November 2007. MAHASZ. Retrieved on 2009-01-19. ↑ Top 100 Albums - 19 November 2007. RIANZ. Retrieved on 2009-01-19. ↑ Top 100 Albums - 22 November 2007. FIMI. Retrieved on 2009-01-19. ↑ Top 50 Albums - 25 November 2007. IRMA. Retrieved on 2009-01-19. ↑ Top 100 Albums - 25 November 2007. ARIA. Retrieved on 2009-01-19. ↑ Top 200 Albums - 1 December 2007. Billboard. Retrieved on 2009-01-19. ↑ Comprehensive Albums - 1 December 2007. Billboard. Retrieved on 2009-01-19. ↑ Top Hard Rock Albums - 1 December 2007. Billboard. Retrieved on 2009-01-19. ↑ Top 100 Albums - 1 December 2007. ultratop.be. Retrieved on 2009-01-19. ↑ Top 100 Albums - 2 December 2007. norwegiancharts.com. Retrieved on 2009-01-19. ↑ Top 100 Albums - 2 December 2007. portuguesecharts.com. Retrieved on 2009-01-19. ↑ Top 100 Albums - 9 December 2007. hitparade.ch. Retrieved on 2009-01-19. ↑ Top 100 Albums - 15 December 2007. dutchcharts.nl. Retrieved on 2009-01-19. ↑ Top 100 Albums - 16 December 2007. CRIA. Retrieved on 2009-01-19. ↑ Top 50 Albums - 16 December 2007. OLIS. Retrieved on 2009-01-19. ↑ Top 100 Albums - 21 December 2007. austriancharts.at. Retrieved on 2009-01-19. ↑ Top 100 Albums - 24 December 2007. musicline.de. Retrieved on 2009-01-19. ↑ Top 100 Albums - 29 December 2007. Billboard. Retrieved on 2009-01-19. ↑ Top 100 Albums - 31 December 2007. finnishcharts.com. Retrieved on 2009-01-19. ↑ Top 100 Albums - 4 January 2008. danishcharts.com. Retrieved on 2009-01-19. ↑ Top 40 Albums - 12 January 2008. acharts.us. Retrieved on 2009-01-19. ↑ Top 20 Albums - January 2008. CAPIF. Retrieved on 2009-01-19. ↑ Top 100 Albums - 15 March 2008. mexicancharts.com. Retrieved on 2009-01-19. ↑ RIANZ Mothership certification - 16 December 2007. RIANZ. Retrieved on 2009-01-19. ↑ Danish Charts Certifications: Mothership - 18 December 2007. IFPI. Retrieved on 2009-01-19. ↑ BPI Mothership certification - 21 December 2007. BPI. Retrieved on 2009-01-19. 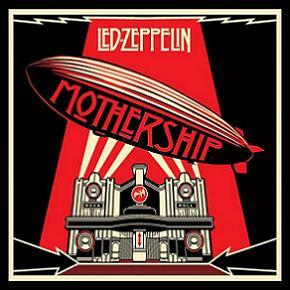 ↑ Disque en France: Mothership - 31 December 2007. SNEP. Retrieved on 2009-01-19. ↑ Swiss Charts Certifications: Mothership - 2007. swisscharts.com. Retrieved on 2009-01-19. ↑ Finnish Charts Certifications: Mothership - 2007. IFPI. Retrieved on 2009-01-19. ↑ Austrian Charts Certifications: Mothership - 6 December 2007. IFPI. Retrieved on 2009-01-19. ↑ Polish Charts Certifications: Mothership - 16 January 2008. ZPAV. Retrieved on 2009-01-19. ↑ RIAA.org Mothership - 7 February 2008. RIAA. Retrieved on 2009-01-19. ↑ Bundesverband Musikindustrie: Mothership - 2008. musikindustrie.de. Retrieved on 2009-01-19. ↑ ARIA Album Accreditations - 30 November 2008. ARIA. Retrieved on 2009-01-19. This page was last modified 05:45, 10 January 2014.